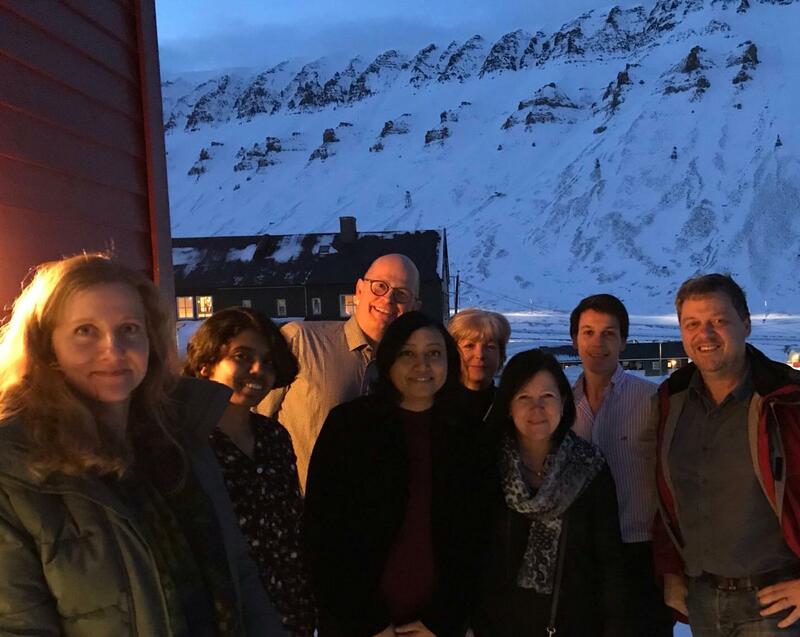 The annual ERA-NET Marine Biotech “BLUETEETH” meeting took place at Svalbard, halfway between Norway and North Pole. Janne E. Reseland concurrently also organized the International Workshop on Oral Degradable Biobarriers and with speakers from around the globe. The annual ERA-NET Marine Biotech “BLUETEETH” meeting took place at Svalbard, halfway between Norway and North Pole. The project is coordinator by Prof. João Mano, (University of Aveiro), where the partners are Prof. Janne Reseland (University of Oslo) , Prof. Már Másson, (University of Iceland) and Dr. Hélène Lauzon, (Primex ehf). Prof. Staale Petter Lyngstadaas ,“Membranes in guided tissue regeneration (GTR) - properties and challenges in clinical use”; University of Oslo, Norway. Prof. Deepak Vashishth “Revival and Functionalization of Native Bone and Bioengineered Matrices for Tissue Regeneration”; Rensselaer Polytechnic Institute, USA. Dr. Jonny Blaker “Hierarchical and gradient nanofibre constructs”; The University of Manchester, UK. Prof. Pierre Layrolle “A new synthetic resorbable membrane for guided bone regeneration: from University patents to commercialization”; University of Nantes, France.